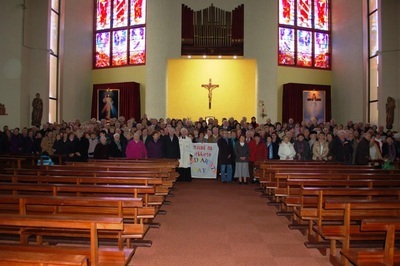 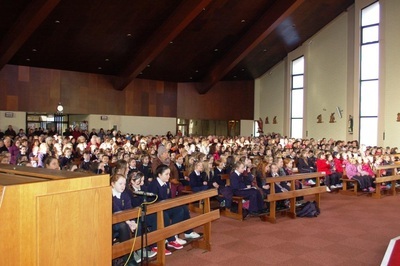 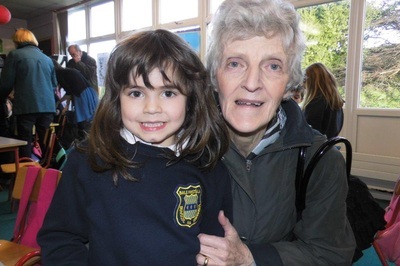 Each year, the Wednesday of Catholic Schools Week is designated as the day when the school community celebrates and pays tribute to grandparents and the role they play in handing on the faith to their grandchildren and in supporting the community of faith at home and in the parish. 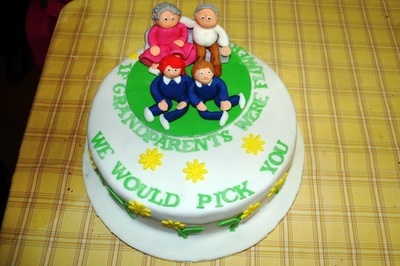 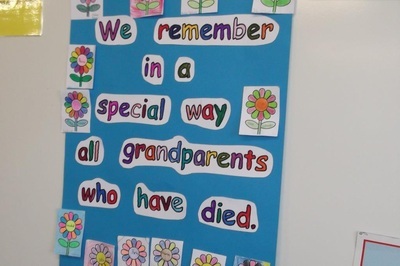 They bring joy to the lives of their grandchildren and in turn, grandchildren can bring real joy to them. 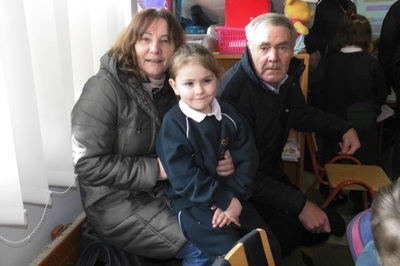 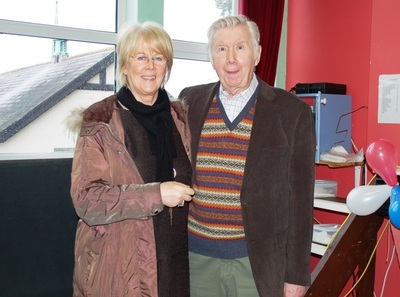 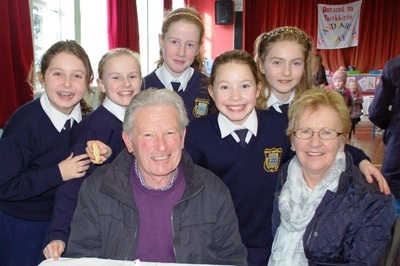 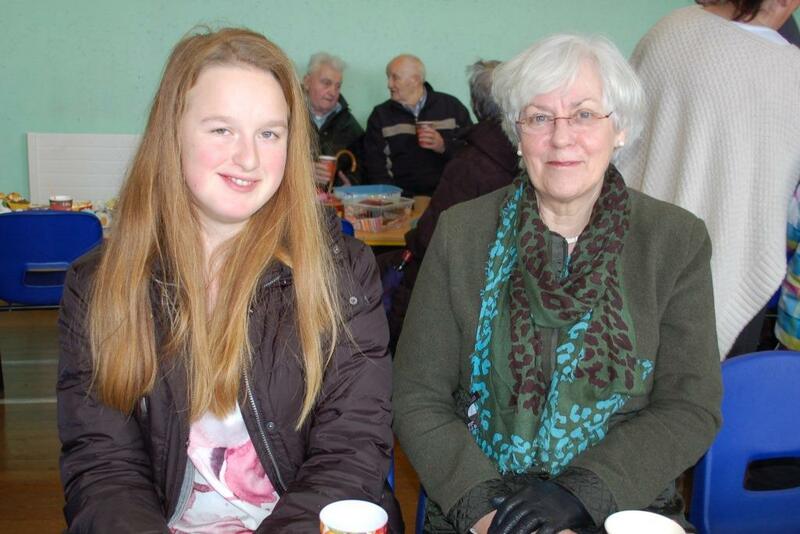 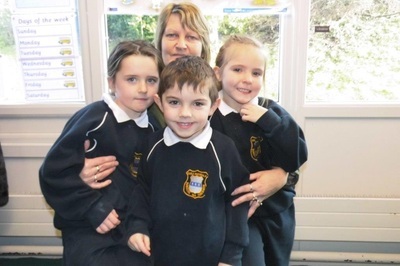 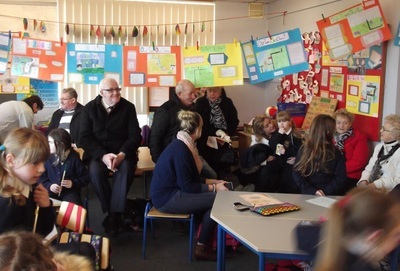 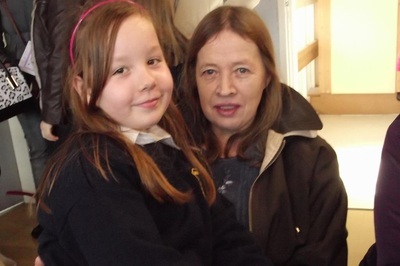 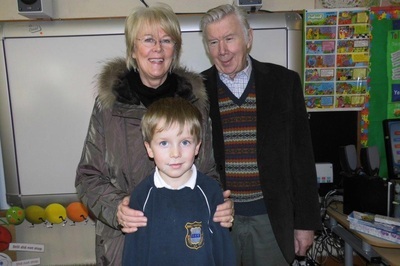 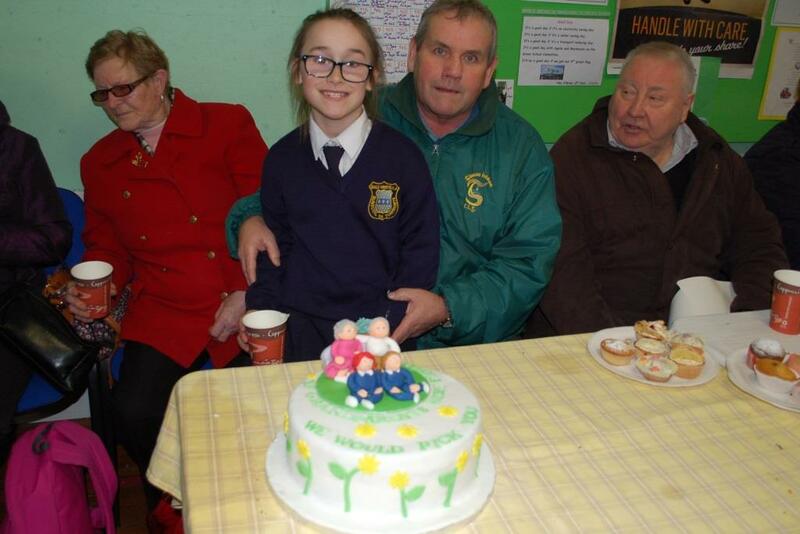 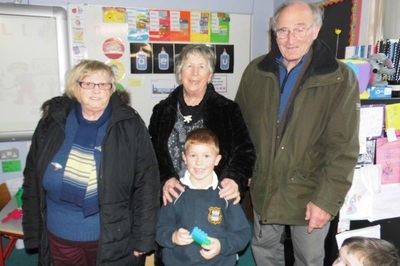 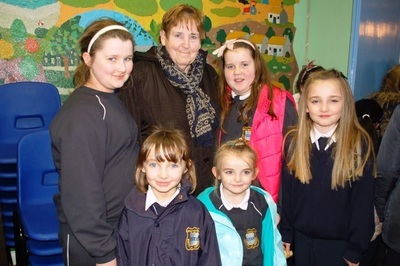 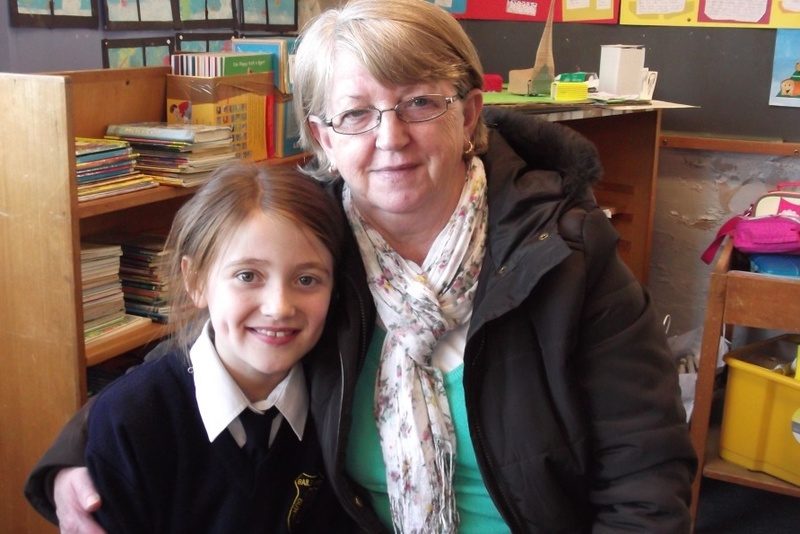 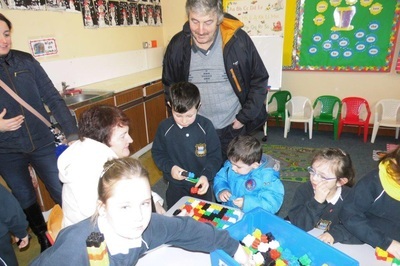 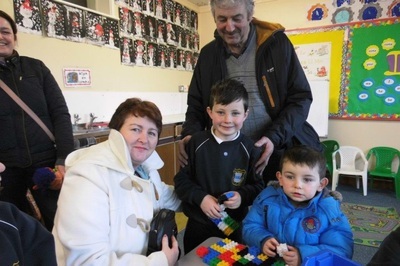 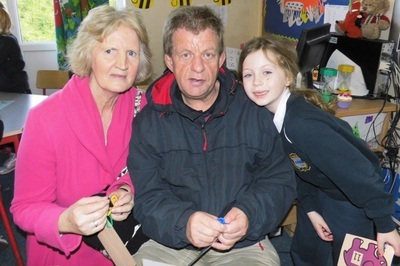 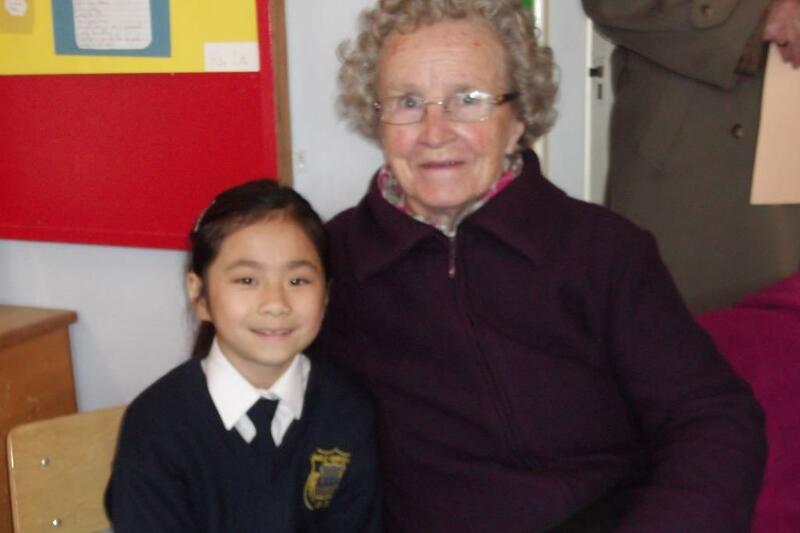 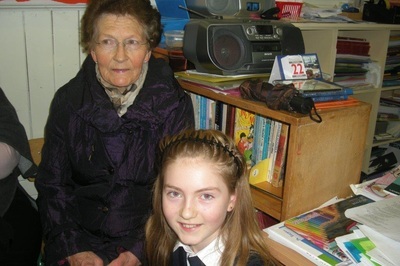 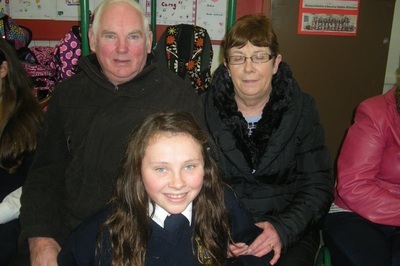 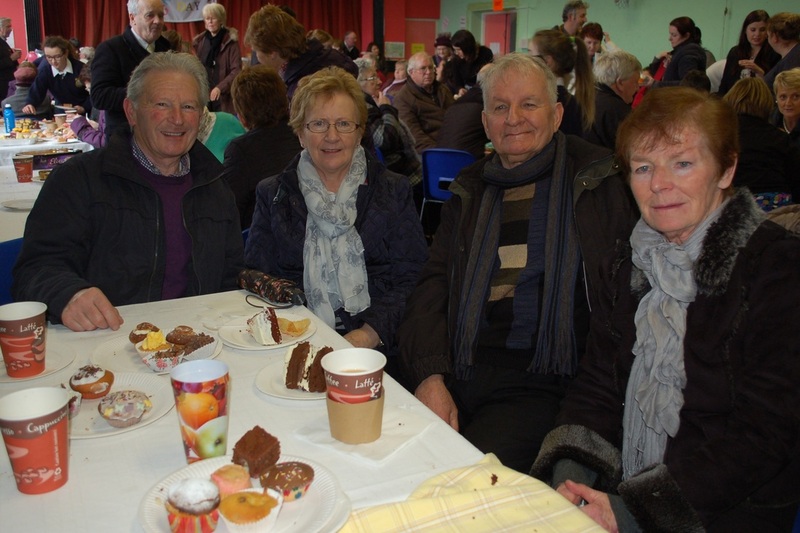 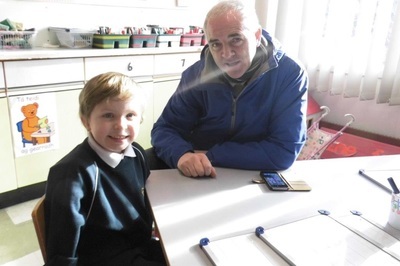 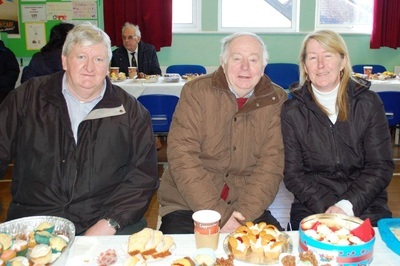 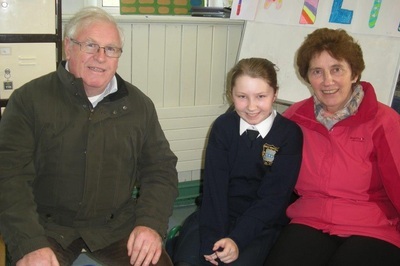 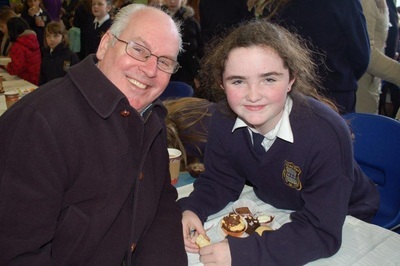 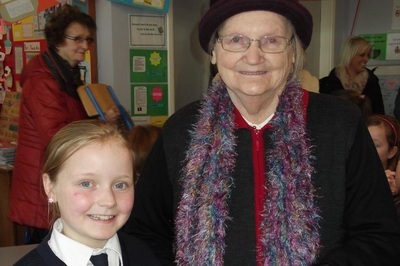 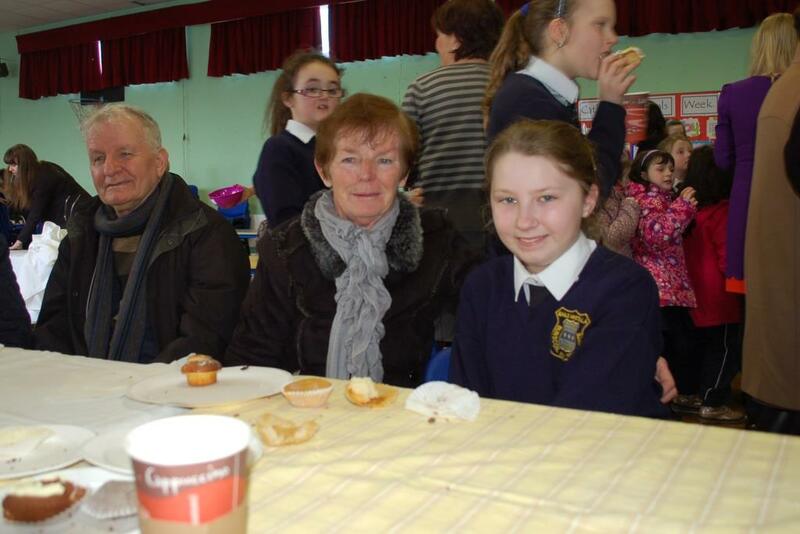 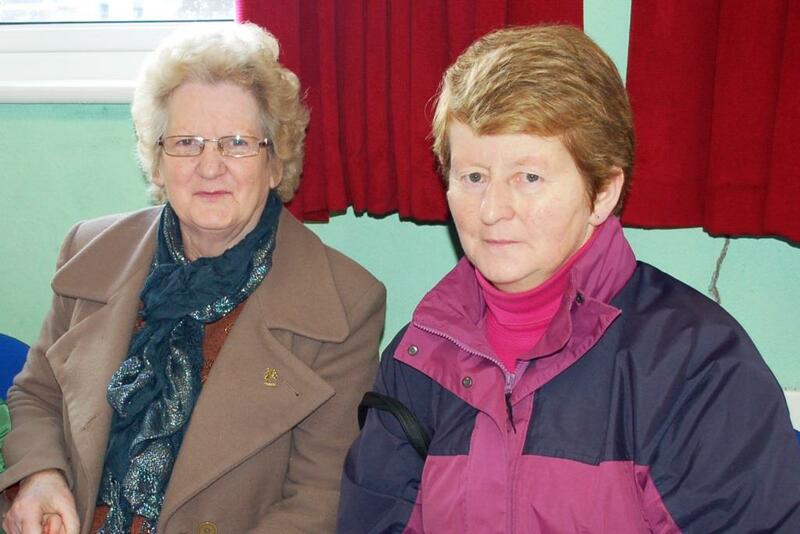 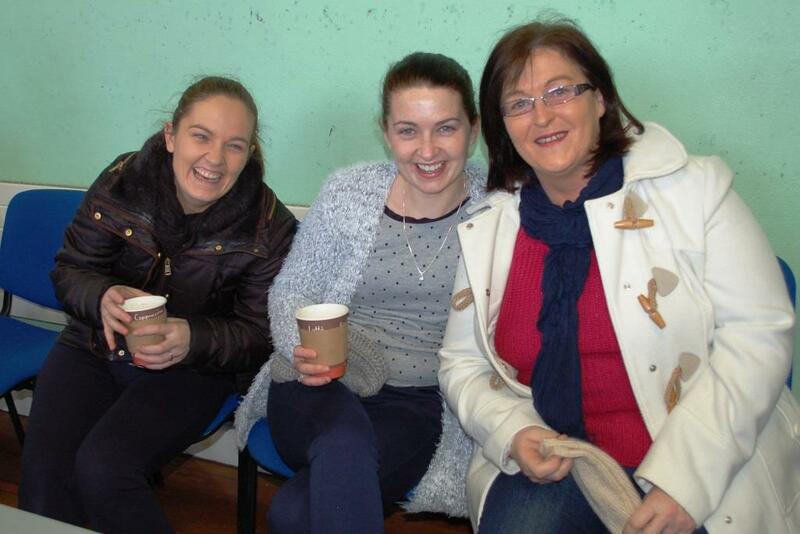 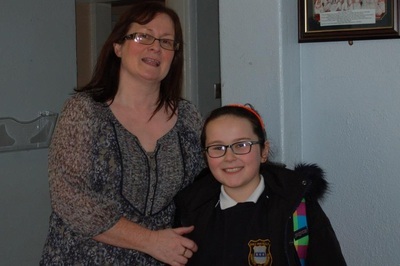 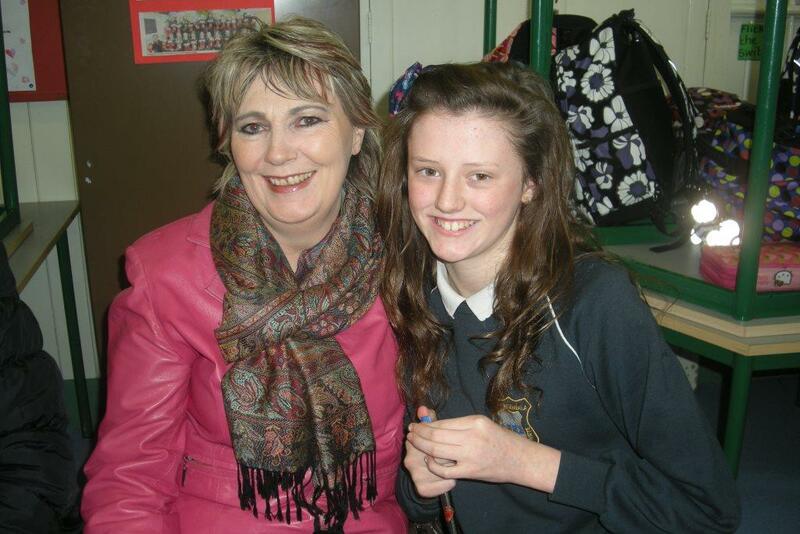 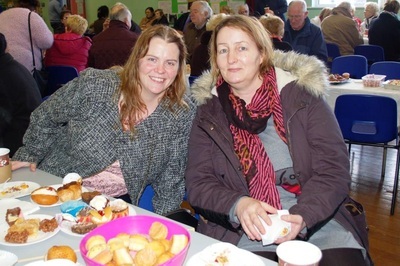 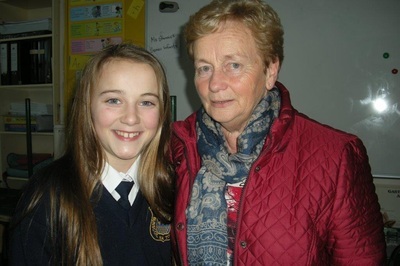 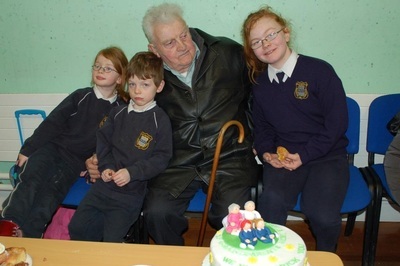 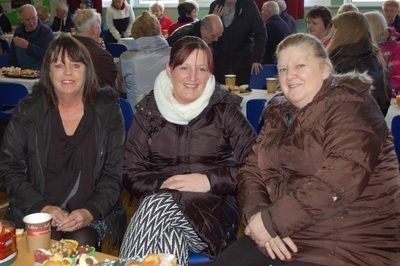 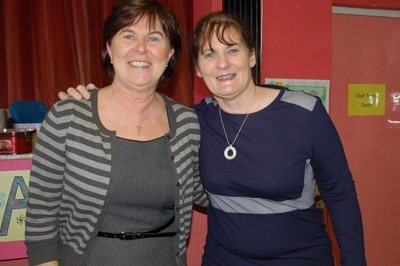 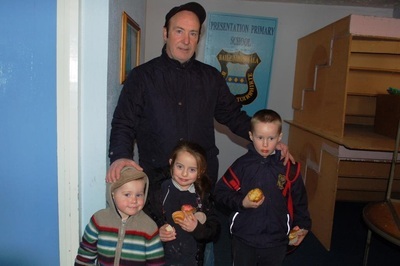 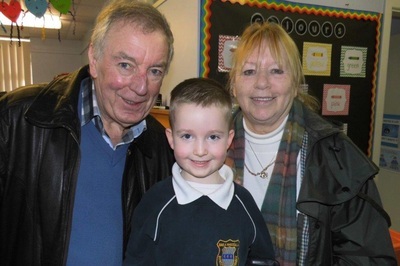 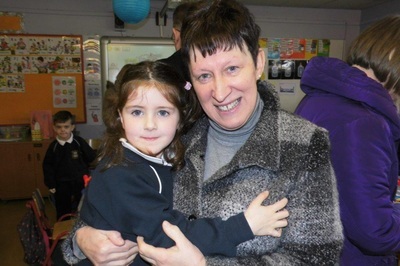 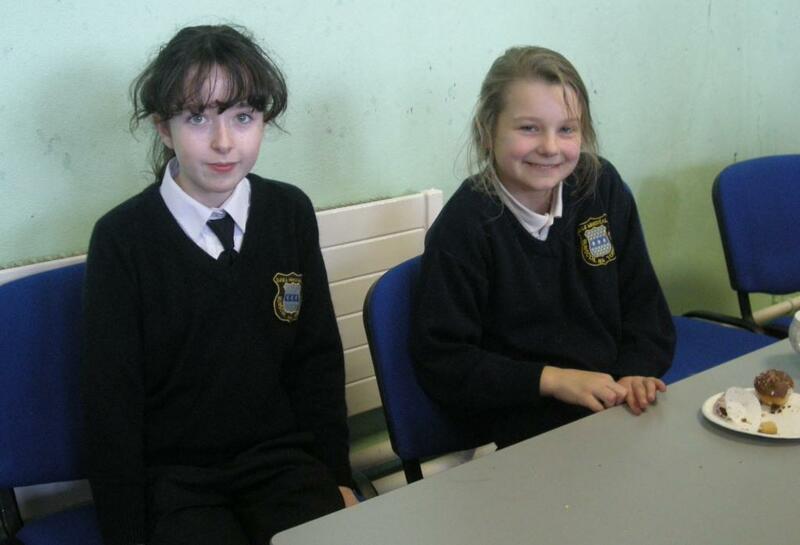 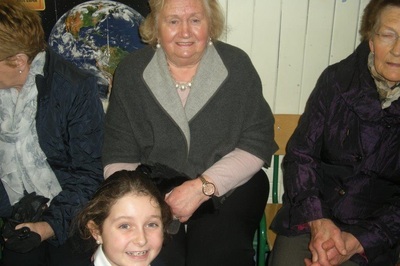 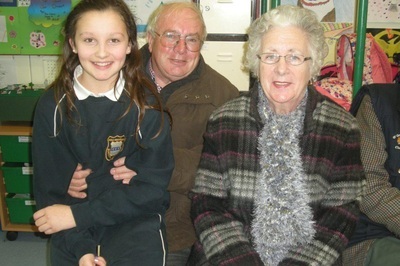 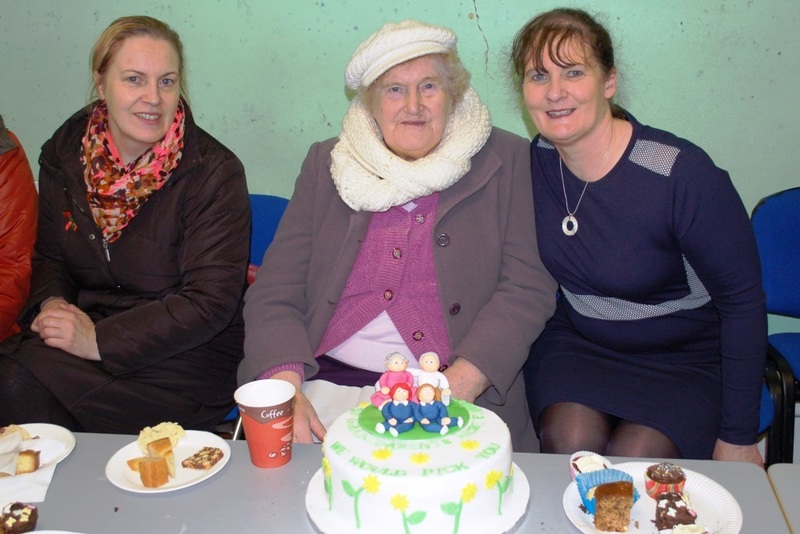 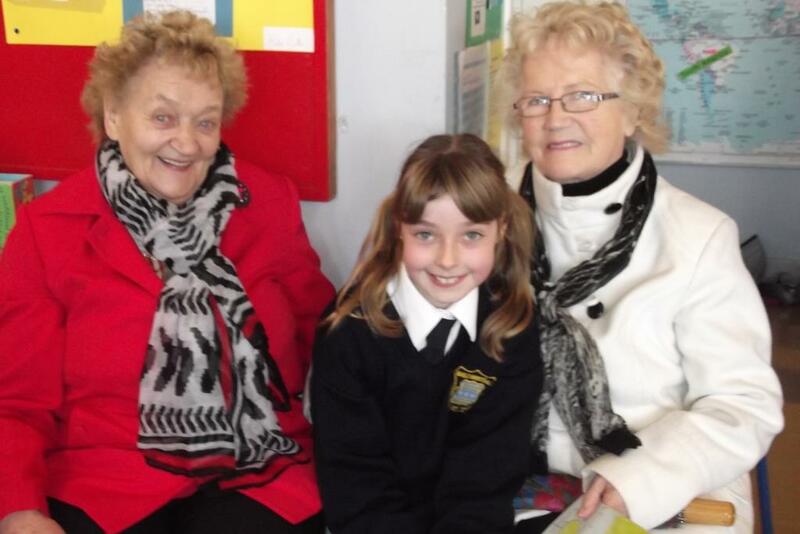 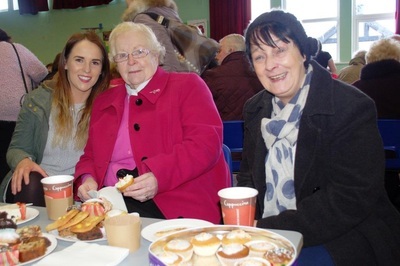 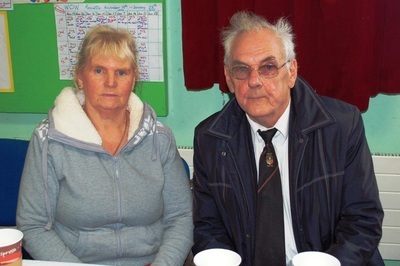 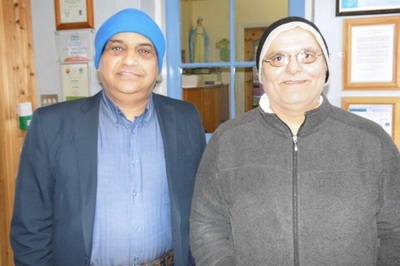 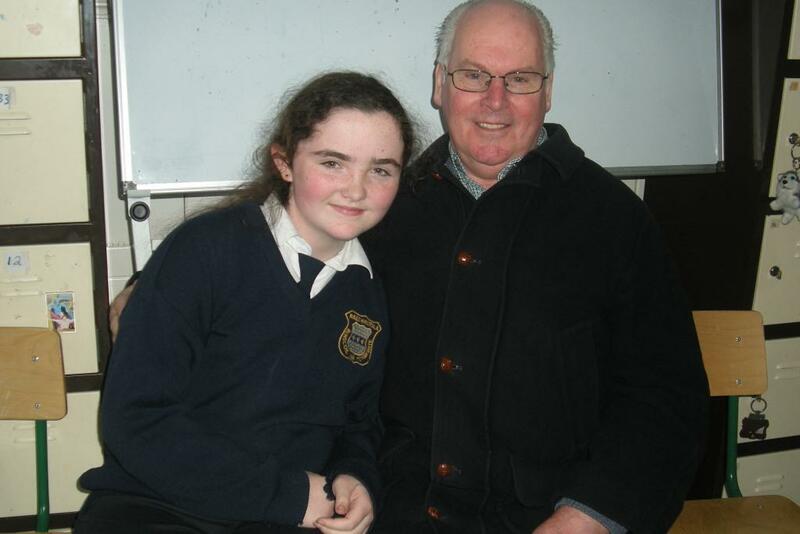 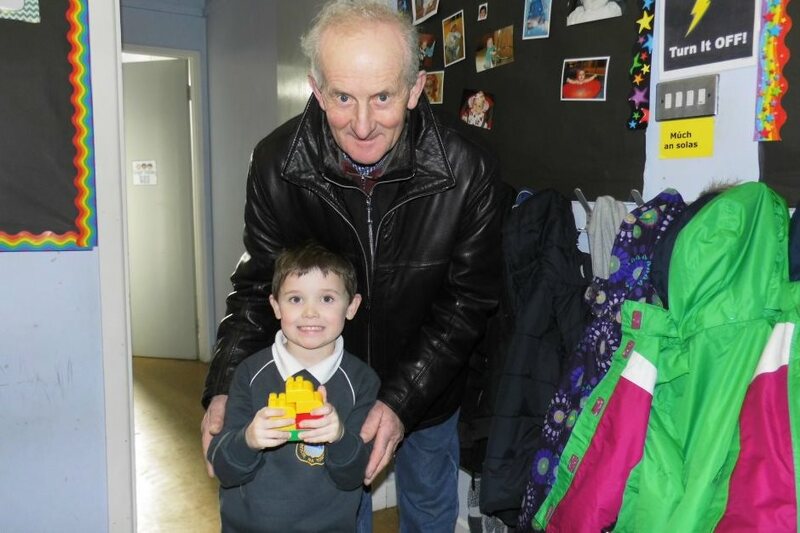 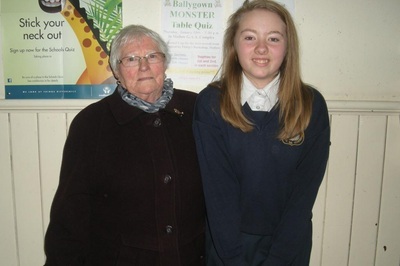 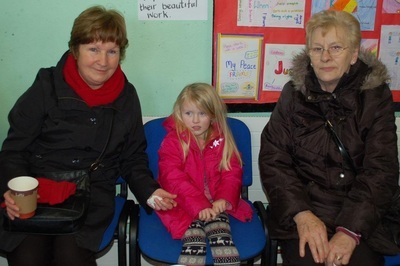 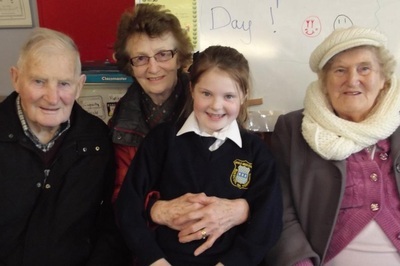 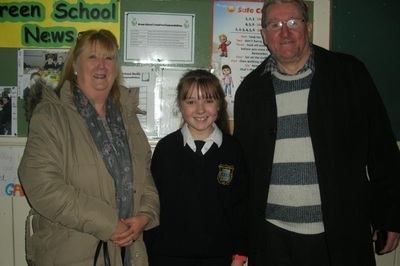 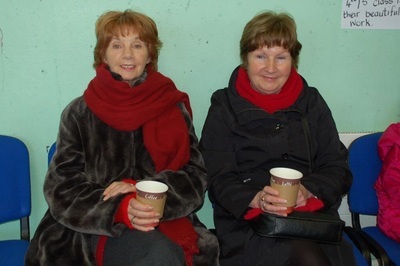 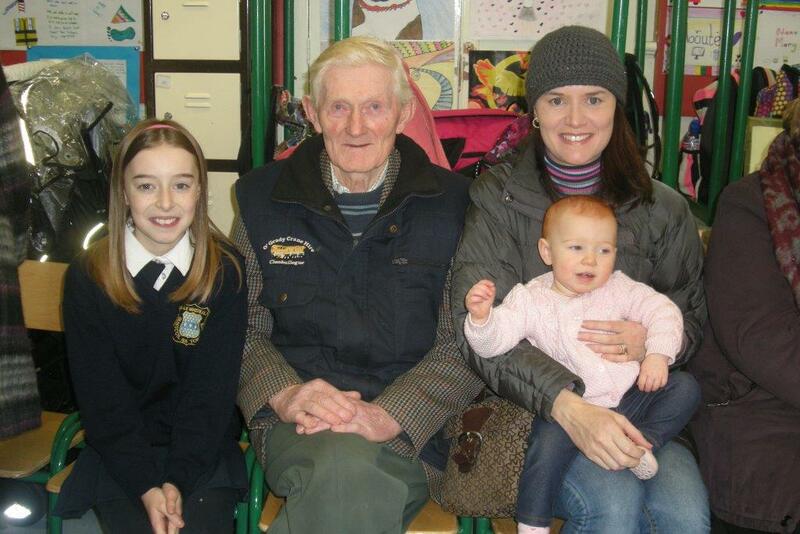 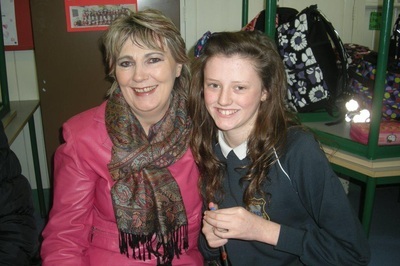 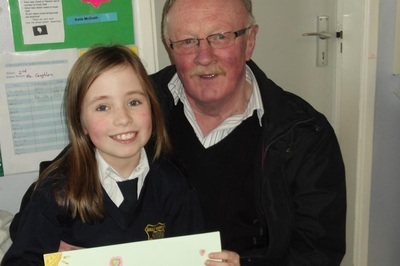 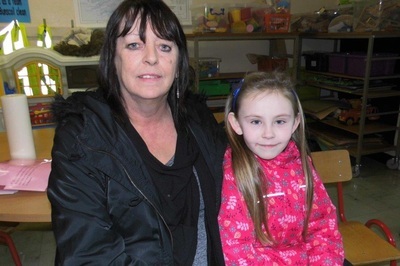 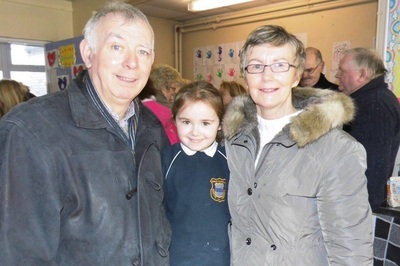 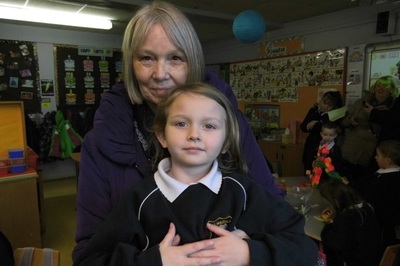 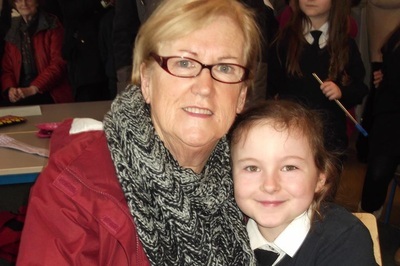 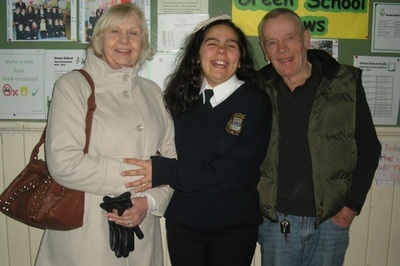 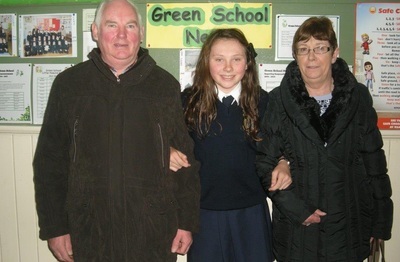 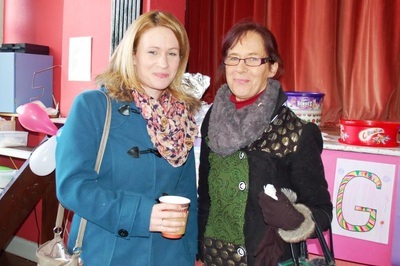 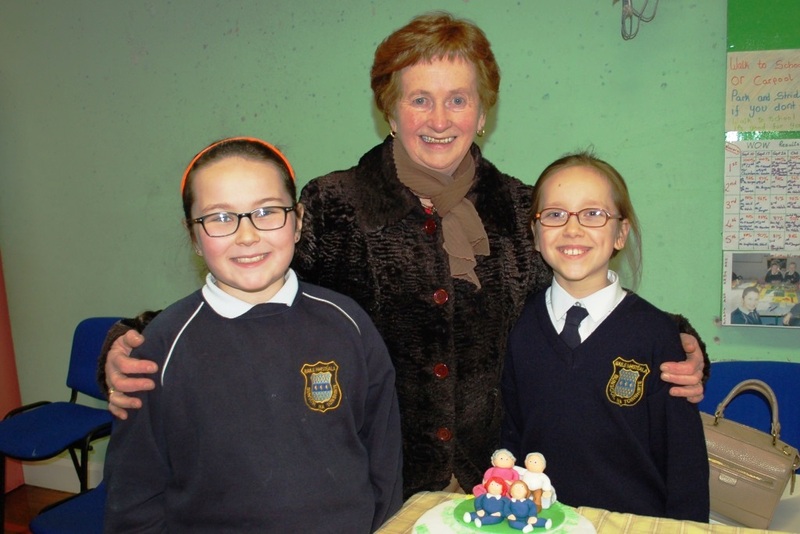 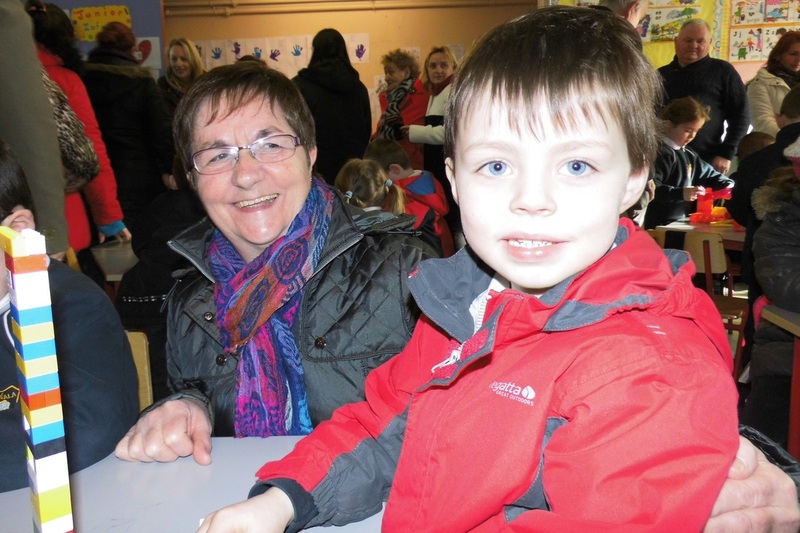 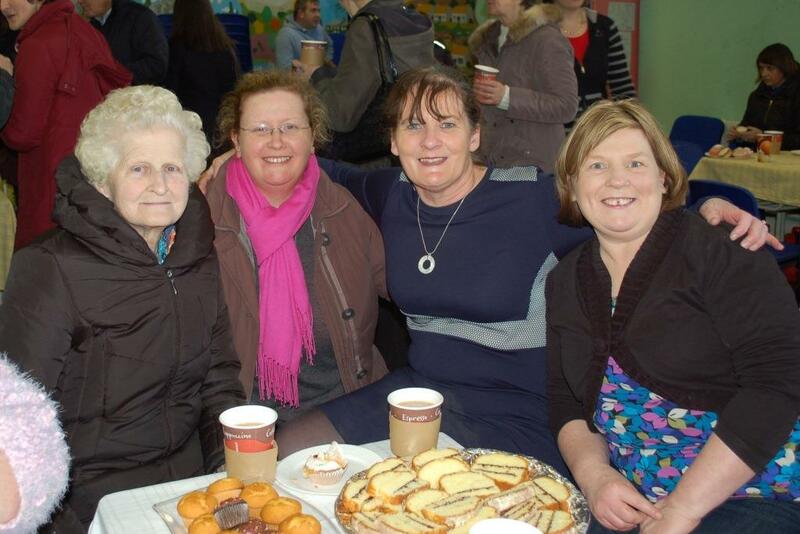 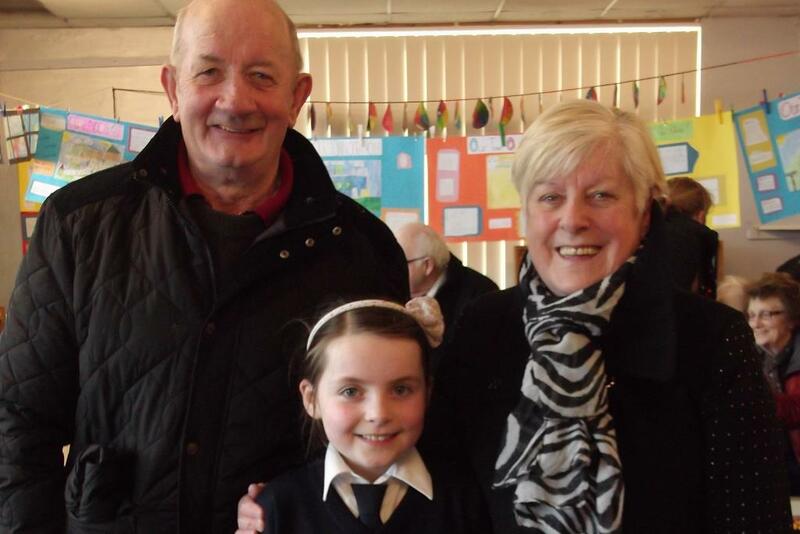 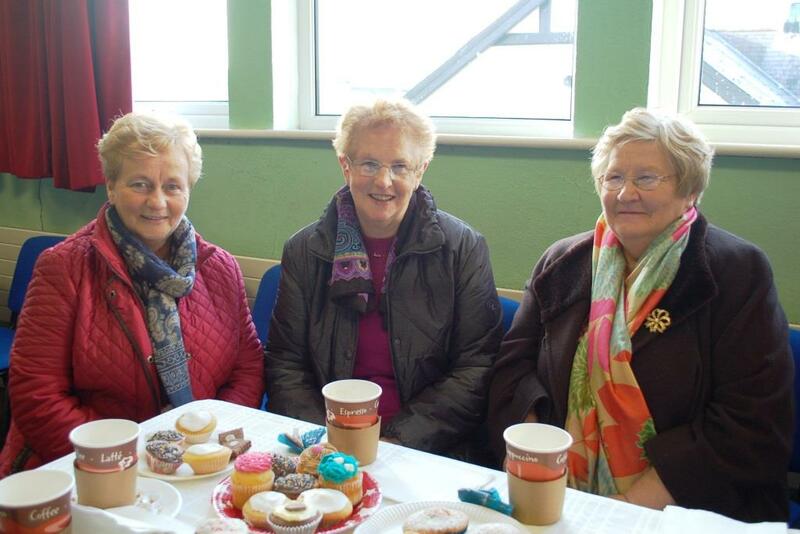 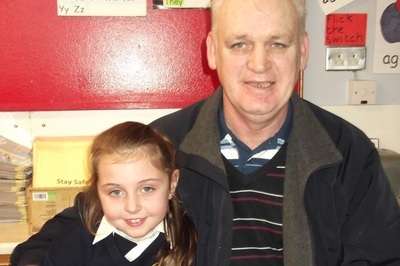 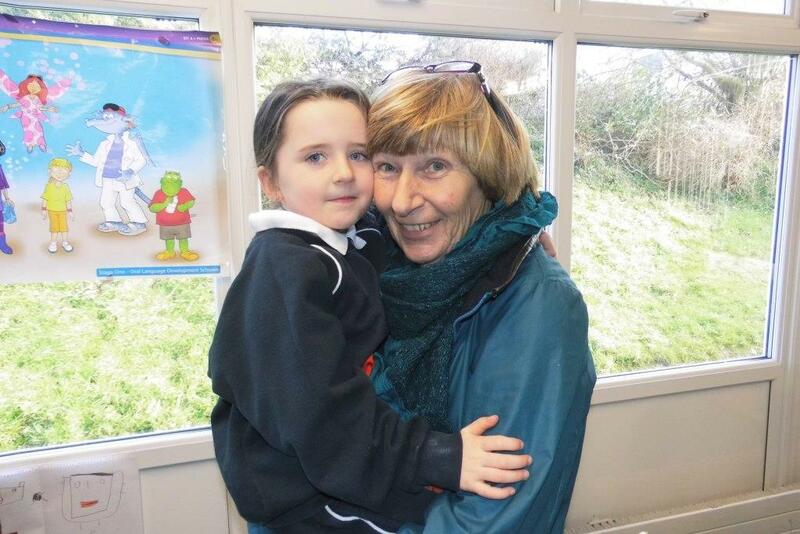 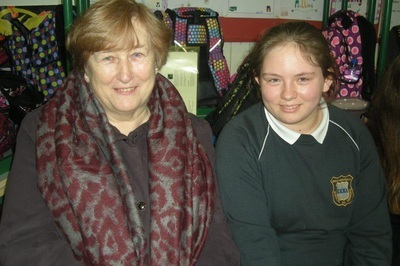 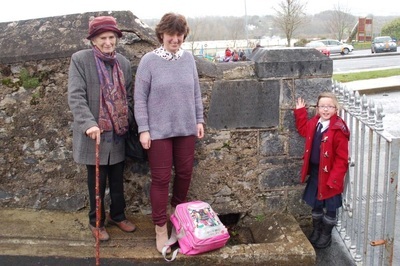 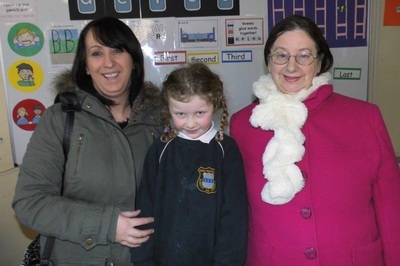 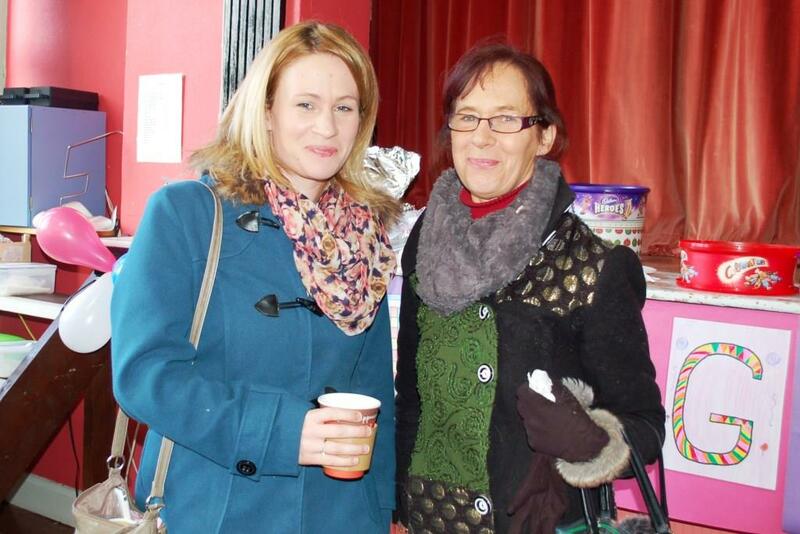 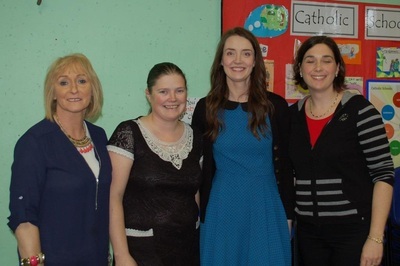 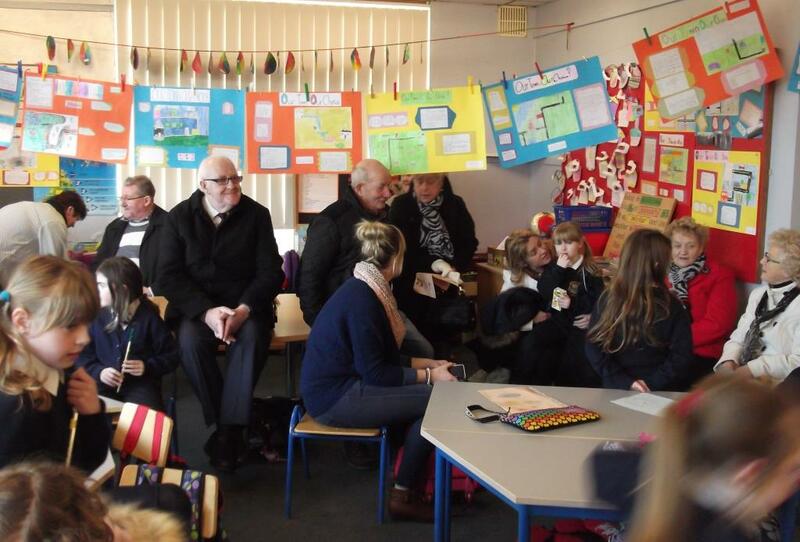 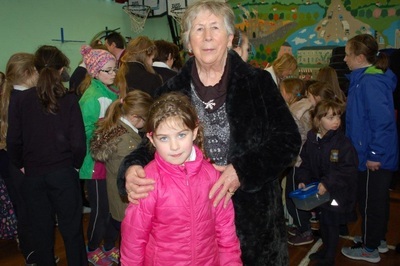 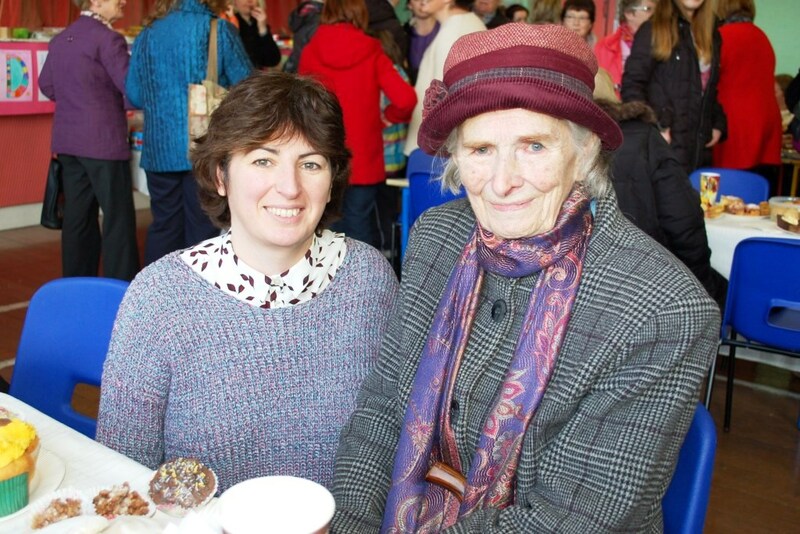 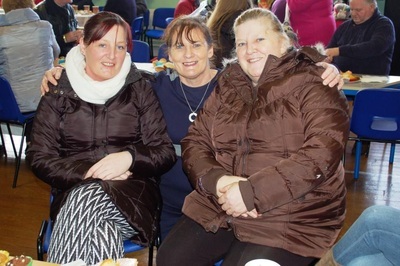 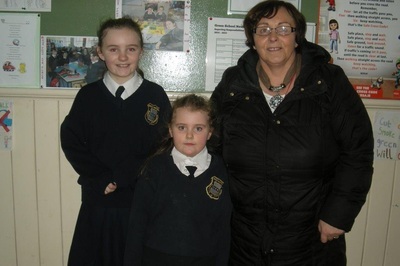 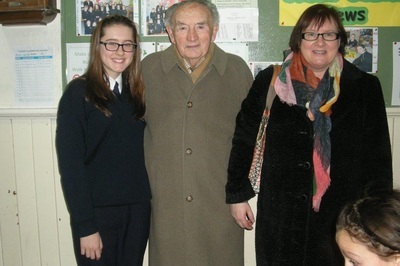 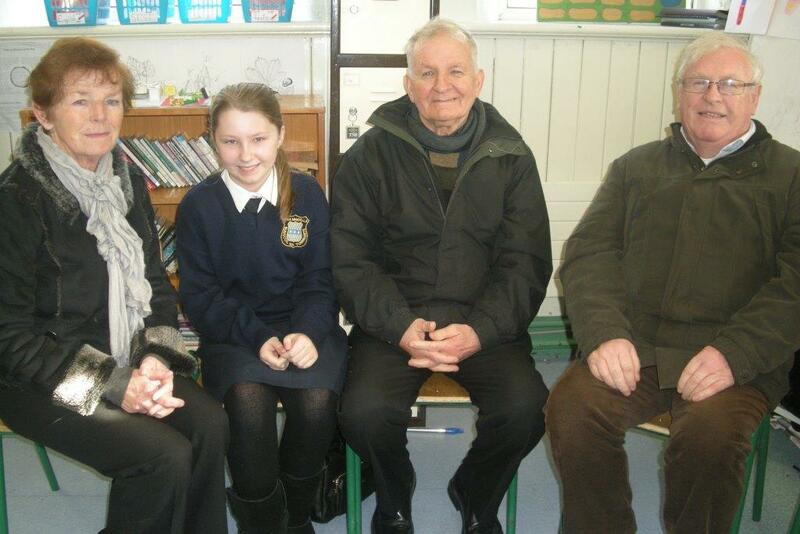 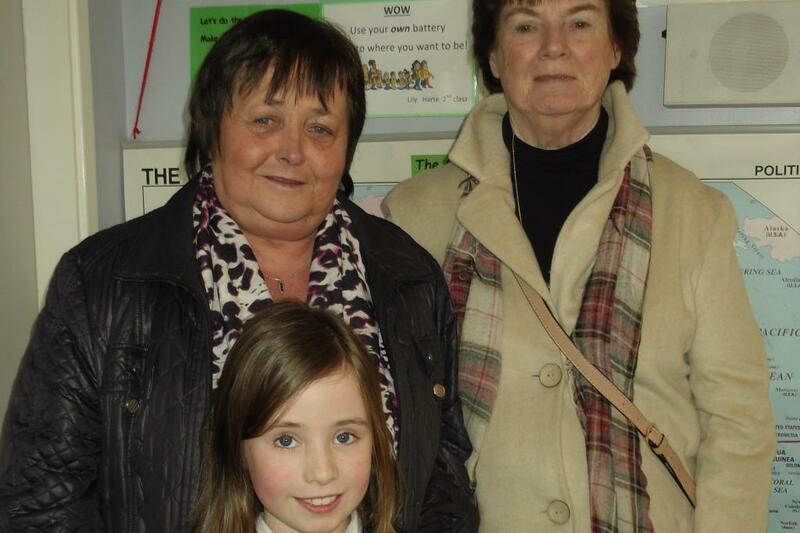 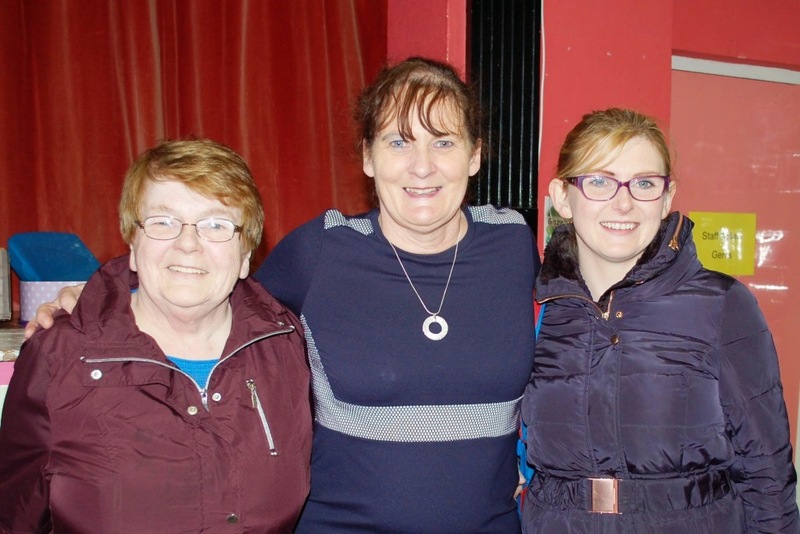 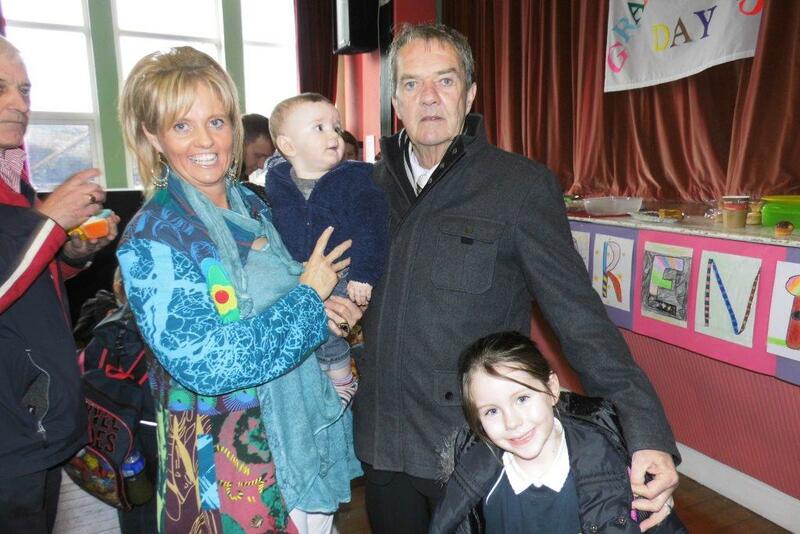 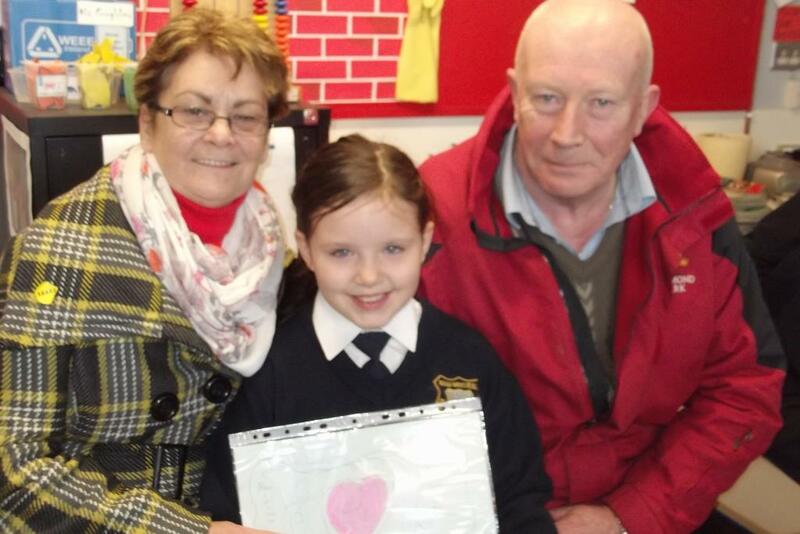 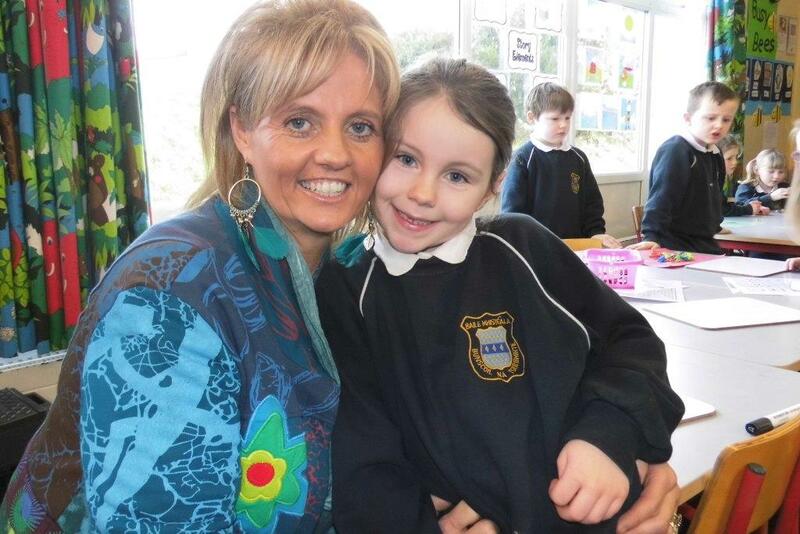 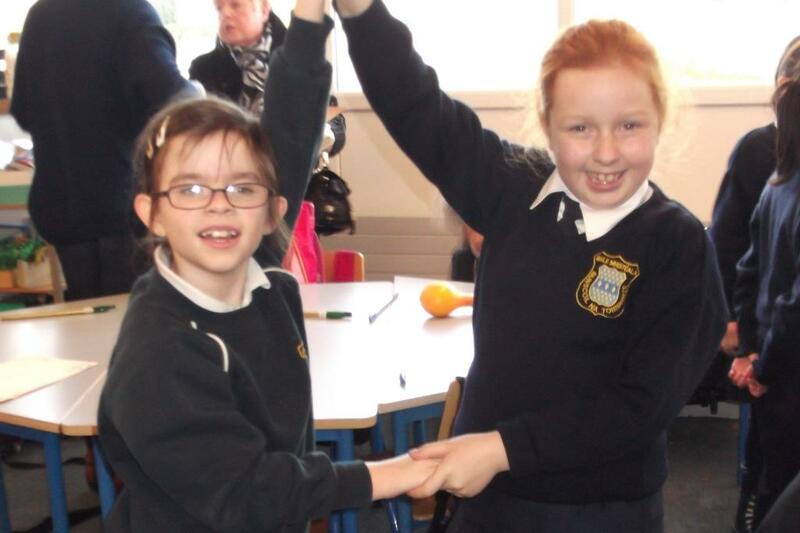 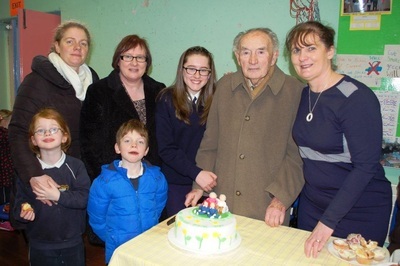 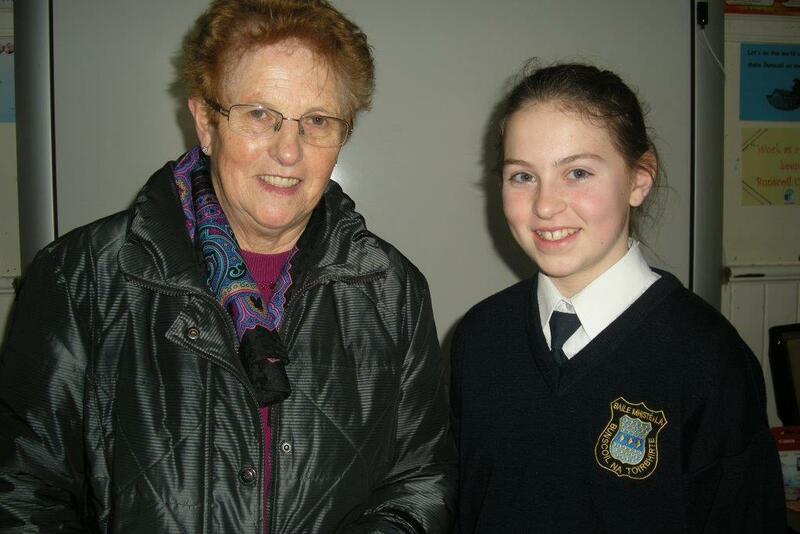 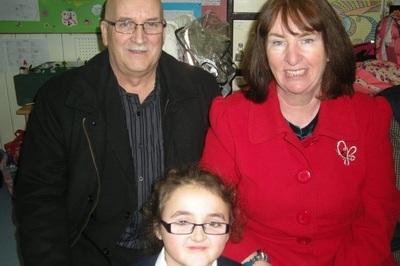 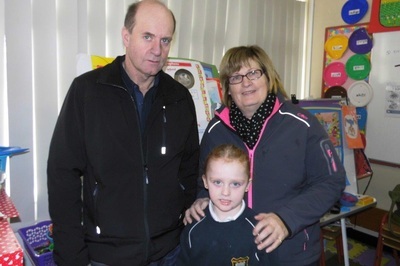 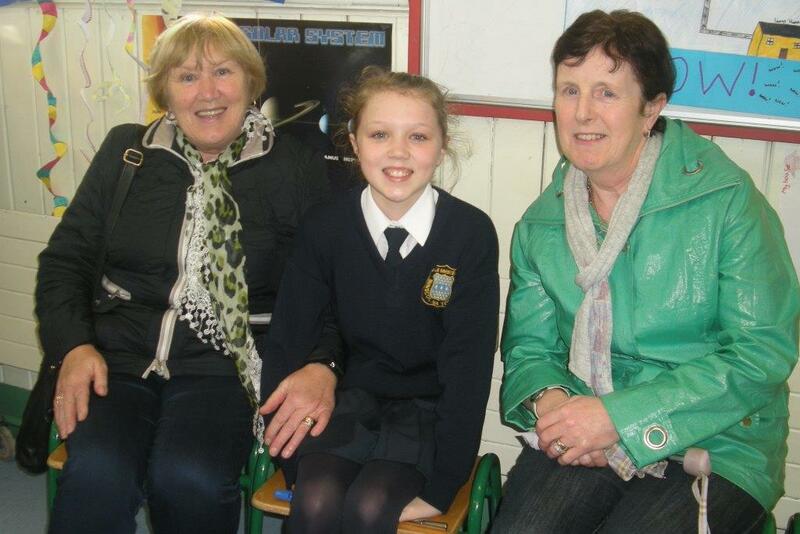 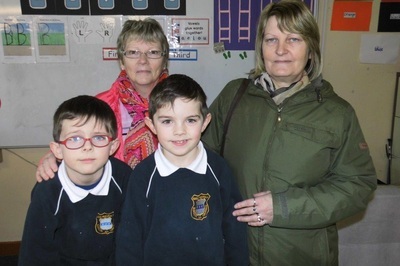 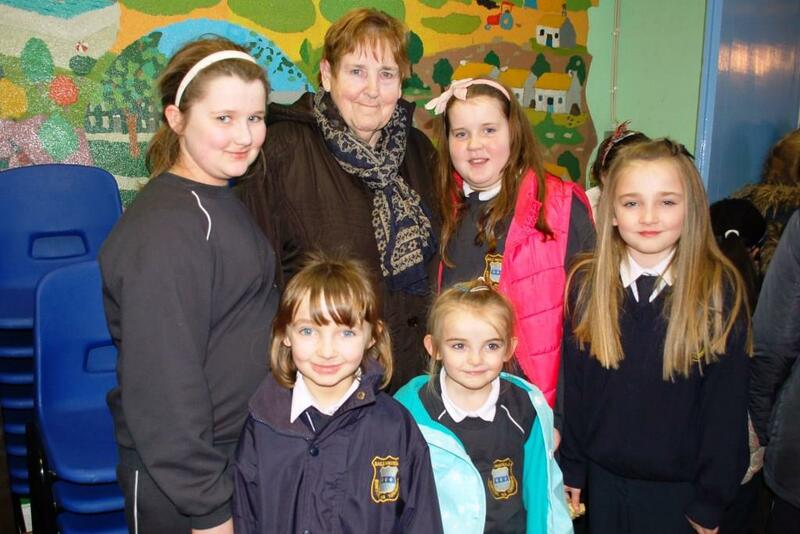 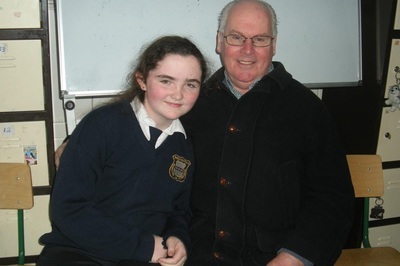 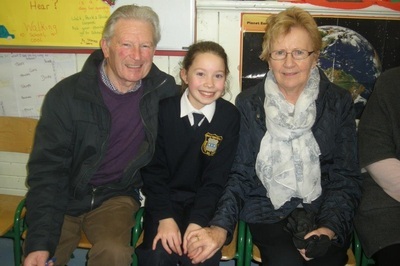 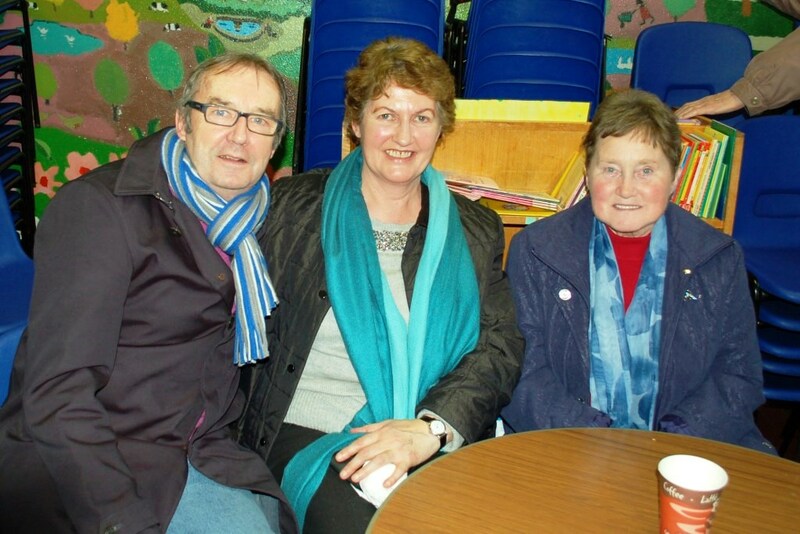 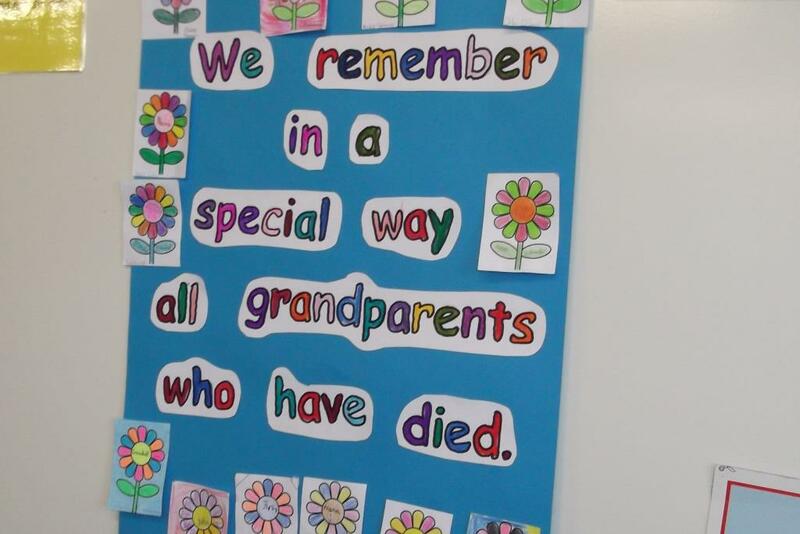 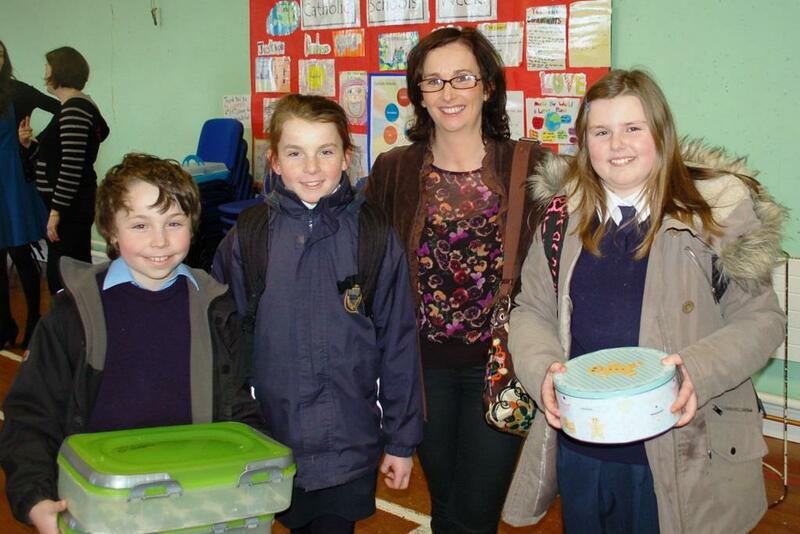 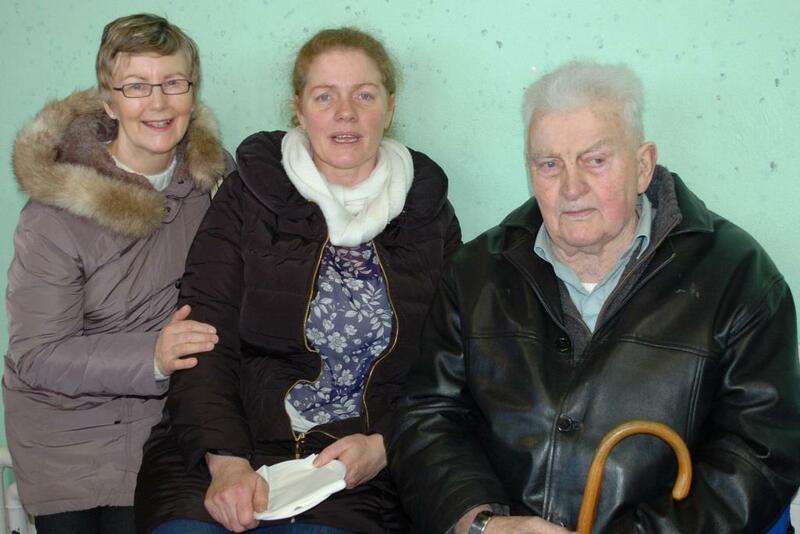 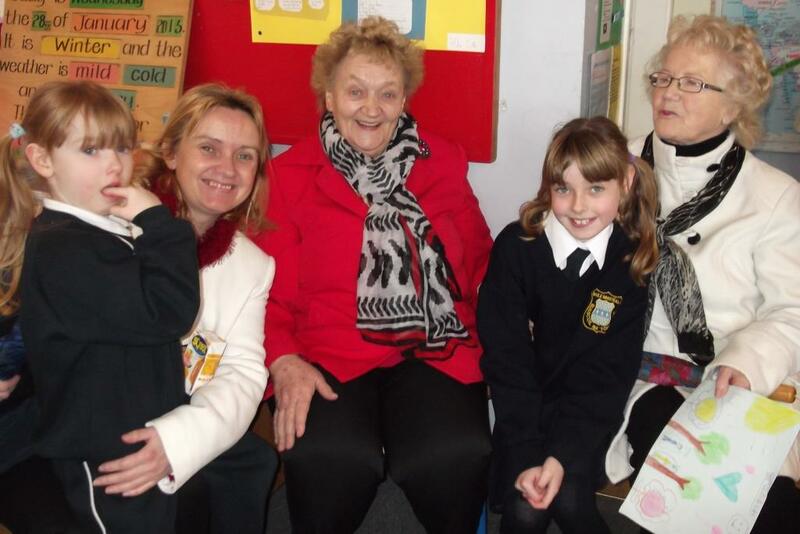 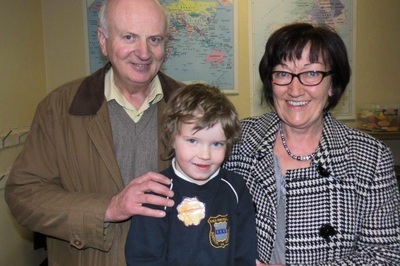 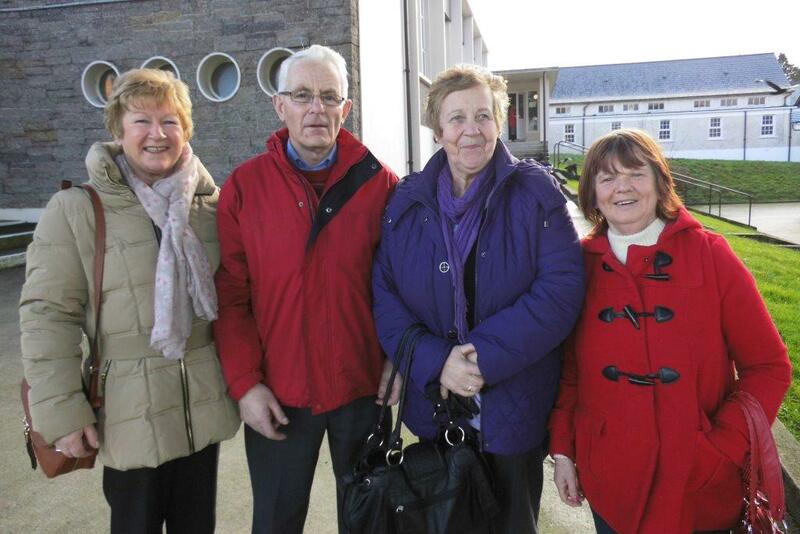 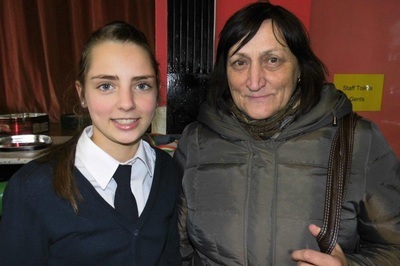 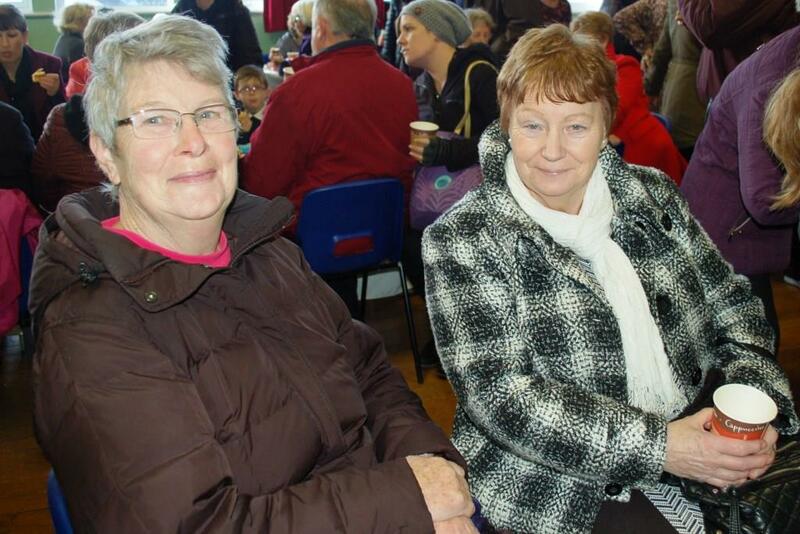 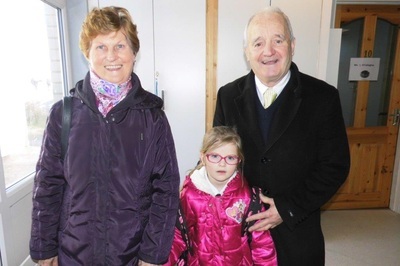 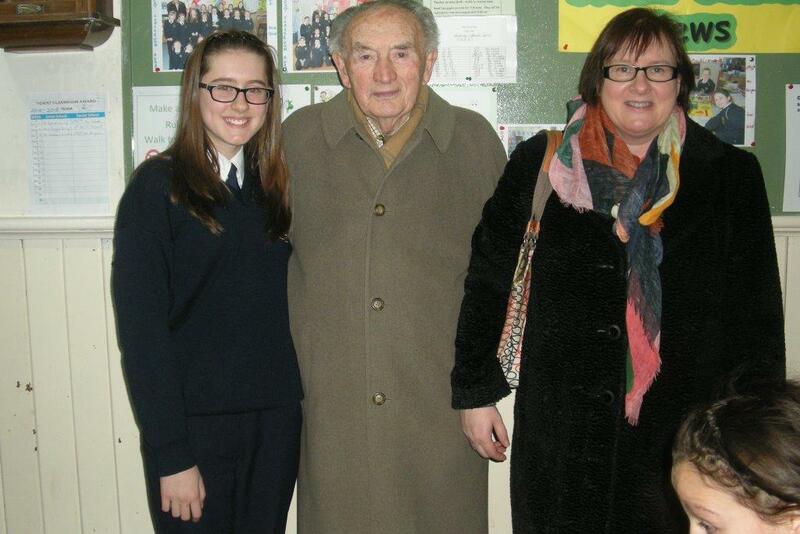 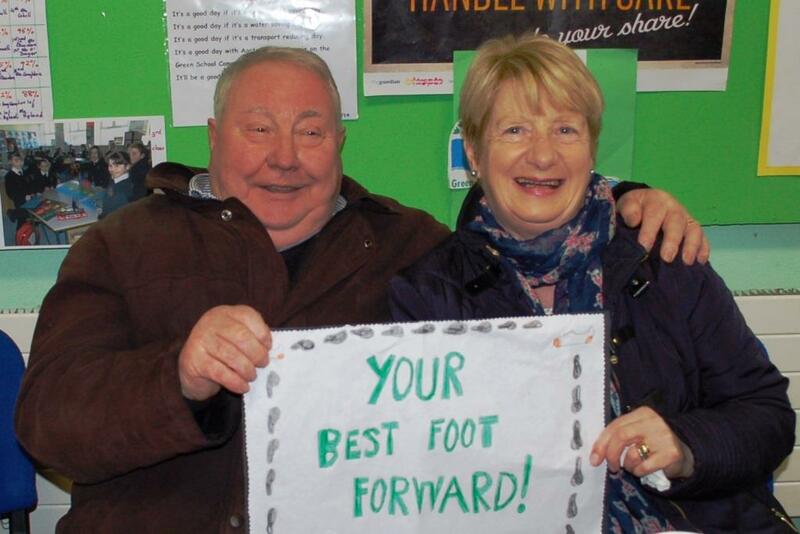 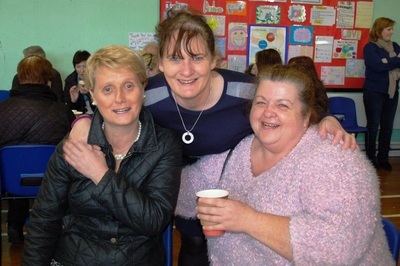 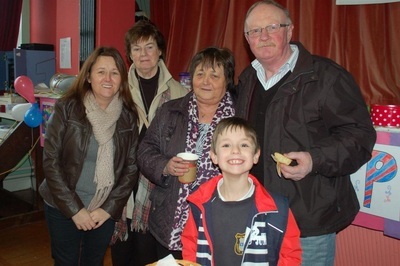 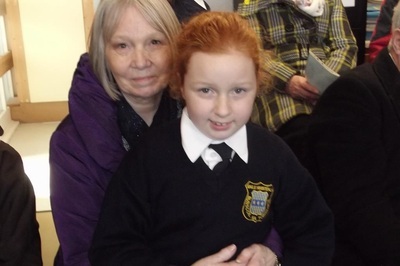 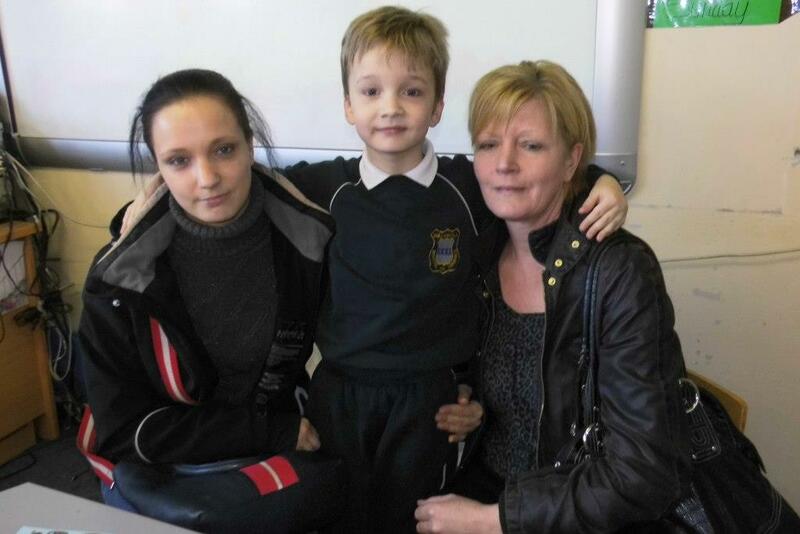 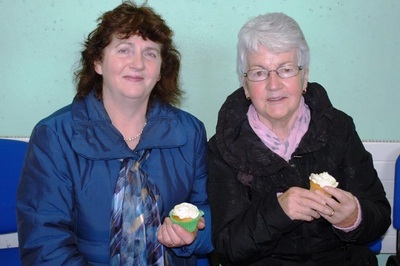 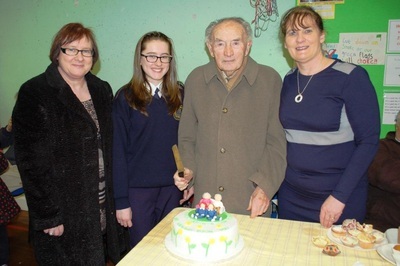 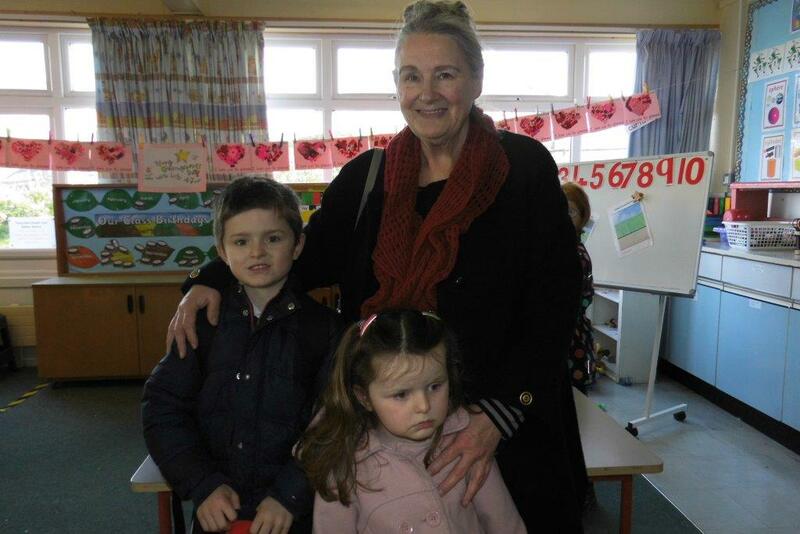 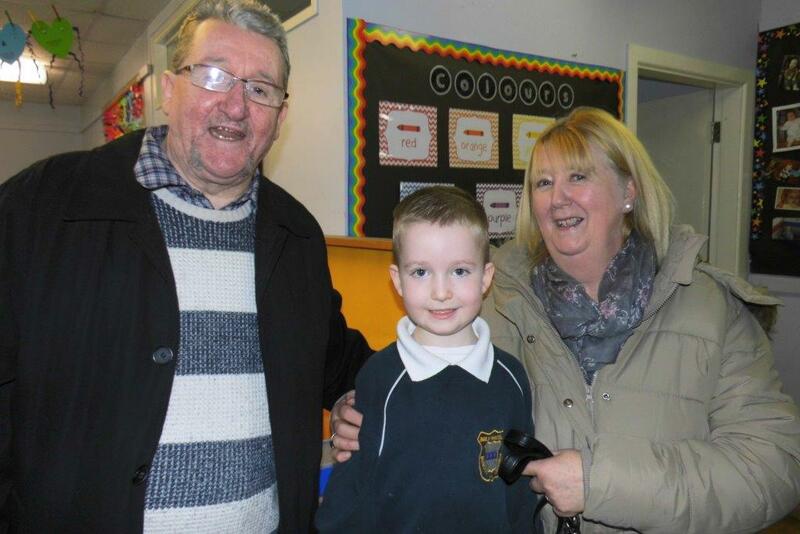 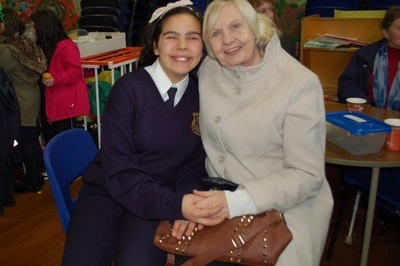 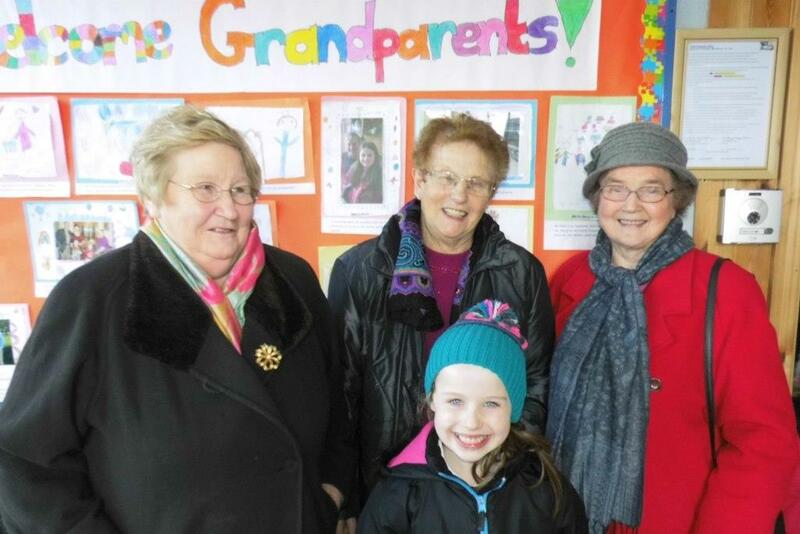 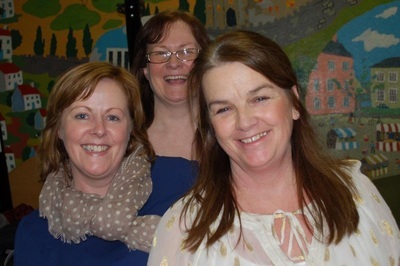 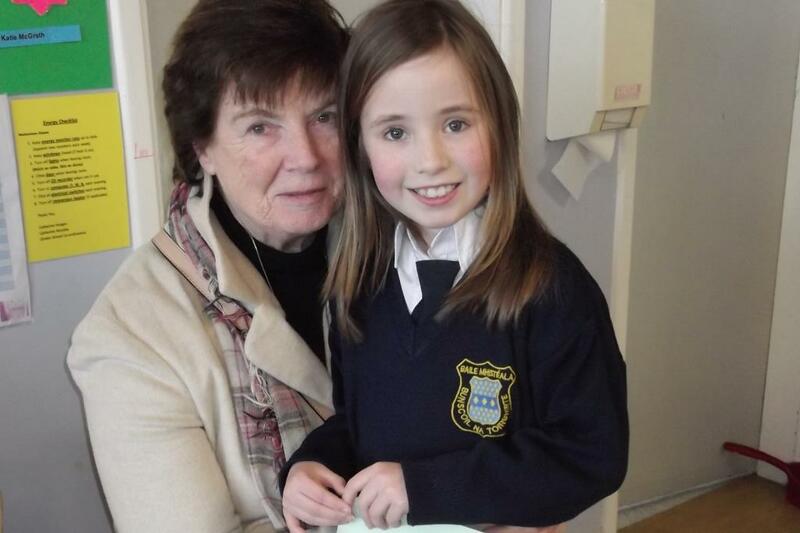 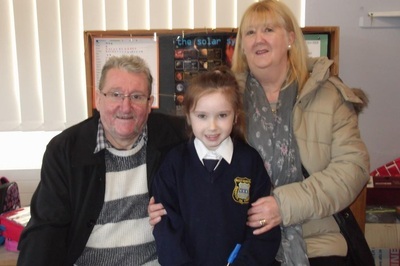 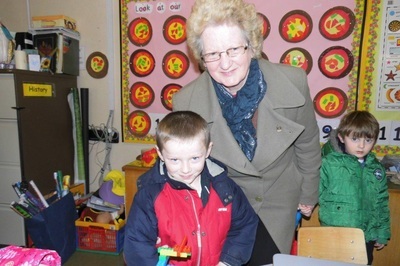 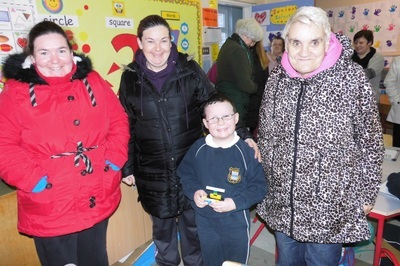 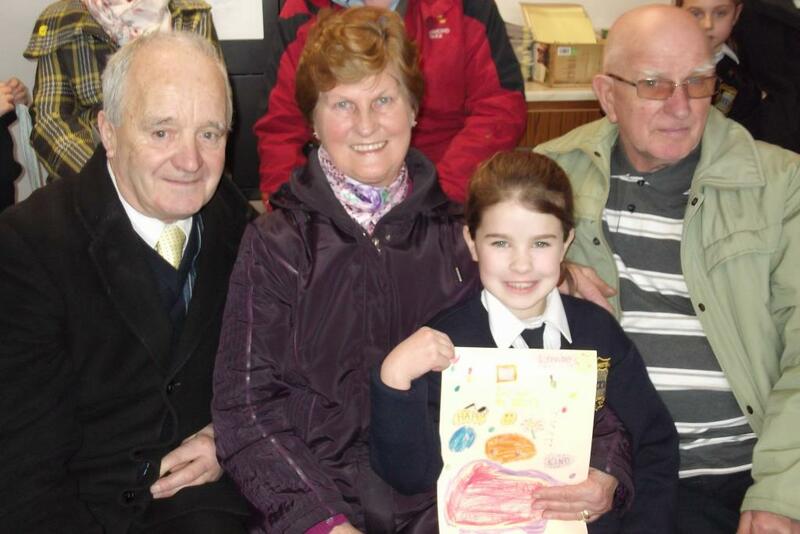 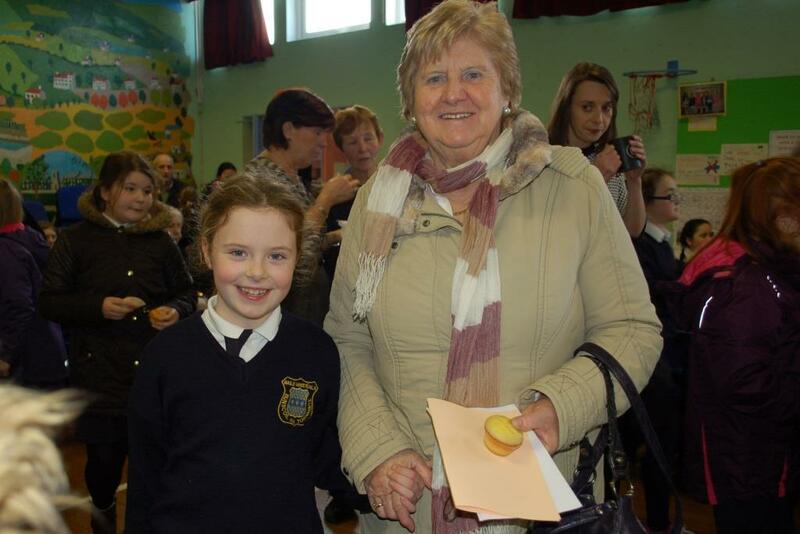 Bunscoil na Toirbhirte celebrated Grandparents' Day on Wednesday January 28th, an event which was organised by Mrs Shinnick, in consultation with Ms Hayes, the teaching staff and the wonderful boys and girls. It was an amazing day for all involved. We began with a prayer service in the parish church where the children participated in the songs and prayers. 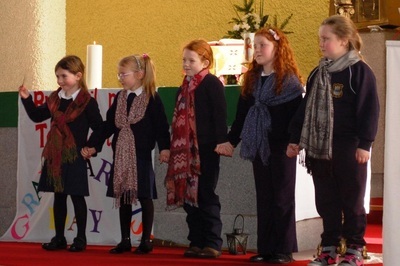 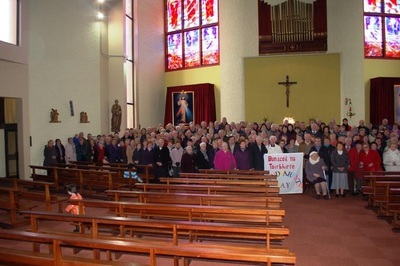 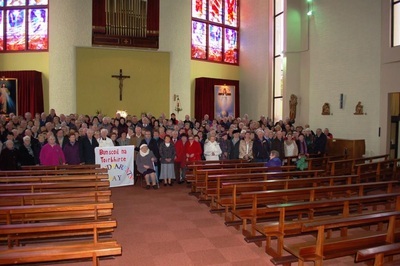 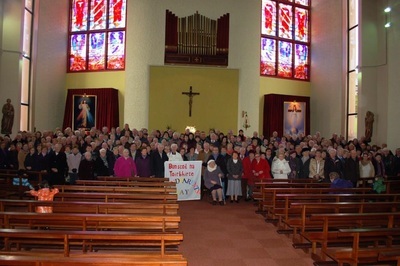 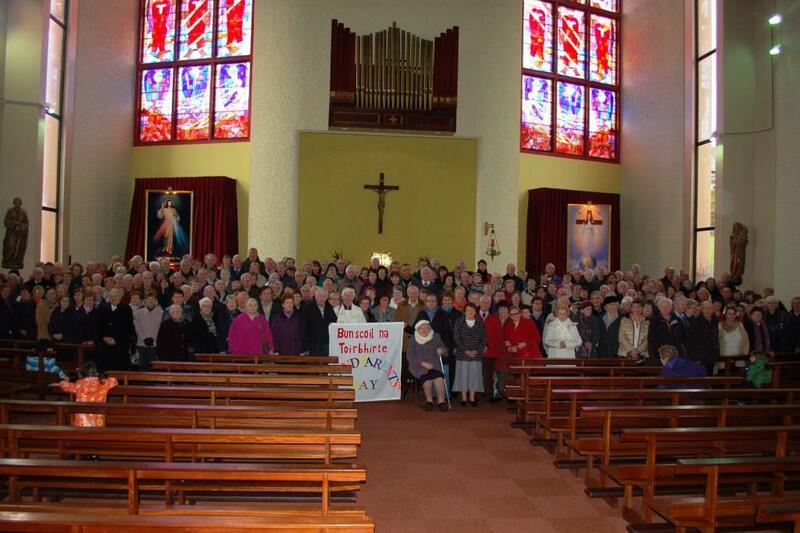 This was followed by a group photograph on the altar, and a visit to the classrooms to see the children at work. Refreshments were served to all in the Halla afterwards. 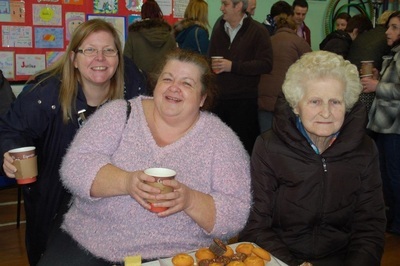 The whole school community would like to sincerely thank all those who took the time to attend Grandparents' Day, those who baked all the fabulous treats and the members of the Parents' Council who worked so hard in serving the refreshments. 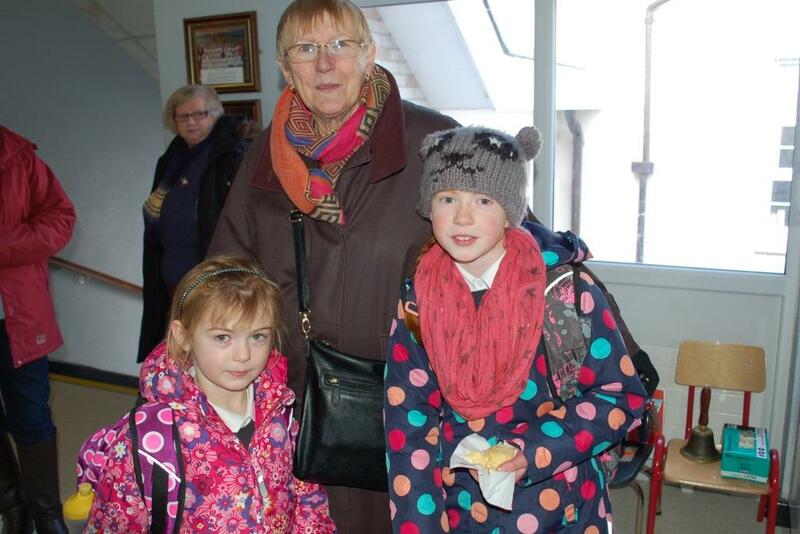 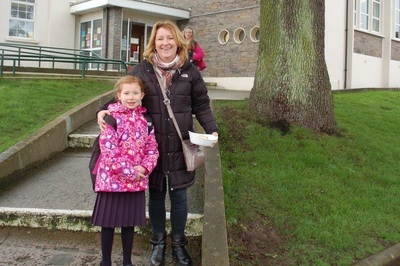 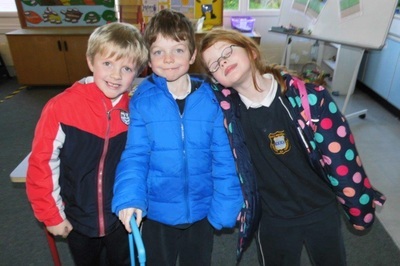 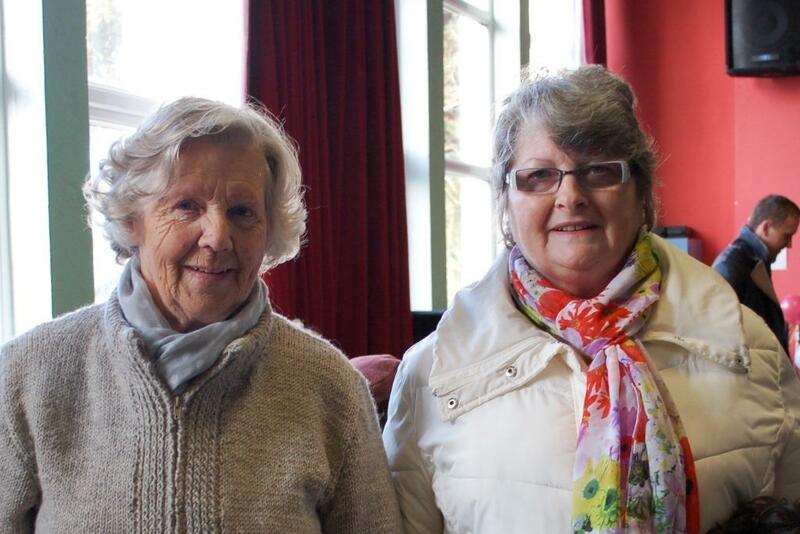 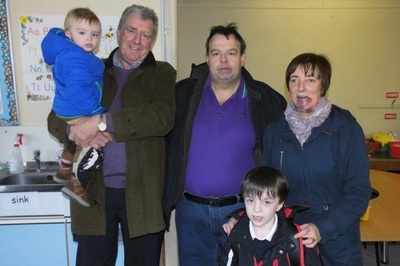 We were overwhelmed with the number of visitors to the school and will treasure the memories for years to come. Take a look at some of the photographs taken on the day, you might see someone you recognise!